How to take screenshot on Moto X without using any apps? How to add custom ringtones for Moto X? How to reset Motorola Assist? How to turn Moto X into silent mode? How to to access developer options in Moto X? How to add Flash Player support on Moto X (especially after KitKat update)? How to reset Moto X? How to connect Moto X with PC through USB cable? How to manage files on Moto X with ES File Explorer File Manager? How to use Wi-Fi Direct to transfer files on Moto G, Moto E and Moto X? How to use USB On-The-Go (USB OTG) on Moto X? Moto X is finally announced on August 1. By the end of this month, you may have the chance to get one in your pocket from the major carriers in US or BestBuy. The biggest surprise of Moto X is not the phone, is its price. Motorola asks for similar price as that for Galaxy S4 and HTC One, although the hardware specifications are obviously inferior (arguable). Motorola is confident consumers will like their unique features and fork money for features rather than hardware specs. They may be correct. Most flagship Android phones are obsessed with hardware specs, and therefore are overpowered (i.e., wasted). The problem is what these features are and why people are willing to pay for them instead of better specs. In this post, I will share with you the top 5 unique features of Mot X.
Touchless control is the killer feature of Moto X. You can control and operate the phone without touching it. It is also dam smart as well: it knows what to do and when. Essentially, it is a combination of voice control and Google Now. What makes Moto X stand out of the crowd of Siri, S Voice and other similar apps is that you can use voice control even the phone is locked. “OK Google Now” is the hot words (Moto magic) to wake up the phone. You probably can configure this to something else like “Oh, Moto Magic” if you want. More interestingly, Moto X only responds to your command, not others’. If 10 other people around you shout “OK Google Now” , your Moto X will not respond to them, because it knows your voice and knows you are the master. It is more loyal than you secretary. What is Motorola X8 Mobile Computing System? 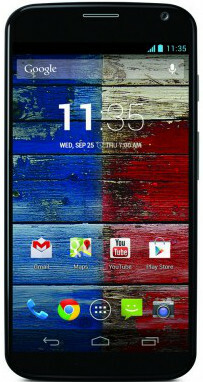 On July 23, Motorola Mobility (a subsidy of Google) unveiled the new generation of Verizon Droid phones (Droid Ultra, Droid Mini and Droid Maxx). The most interesting info from the event is that all these 3 phones are powered by custom-made system-on-a-chip (SoC) (based on Snapdragon S4 Pro), not the stock Snapdragon chip. Motorola named it as the X8 mobile computing system. The coming Moto X phone will surely be powered by this mobile computing system. What makes this X8 mobile computing system unique? Will it be a game changer for mobile phones? Why it it named as a “computing system”? The uniqueness of X8 is its two additional cores. There are totally 8 cores in X8 (this probably explains why it is named as X8). Among them, two CPU cores, four GPU cores, one natural language processor/core, and one contextual computing processor/core. If you own a Samsung Galaxy S4, you probably already have a Exynos Octa 5, which has 8 cores. But all of them are CPU cores. The 4 A15 cores at 1.8GHz are for CPU intensive jobs, and another 4 A7 cores at 1.2GHz are for less intensive jobs to save power. 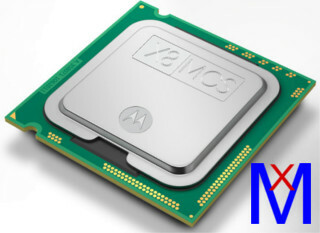 We are excited about Motorola’s X8 because of their two non-conventional cores. With the Motorola X8’s natural language processor, Moto X is ready to respond any voice commands without touching your phone. It should work even when the display is off. If Motorola can (why not?) combine this capability with Google Now, the Moto X will definitely give owner an exceptional experience. You can instantly get the traffic info, reminders, news, calling and texting information. This is clearly demoed in the Rogers’s video. How to use Galaxy S10 Multi Window? Disclaimer: Motorola, Moto X are trademarks of Motorola Mobility. This website is NOT affiliated with Motorola Mobility LLC in any way. All the information provided on this website is provided on an "as is" and "as available" basis and you agree that you use such information entirely at your own risk.